The skin-firming and stamina building dish you must try in Japan! Japan has a wide variety of foods to offer that make people from all over the world flock to Japan to enjoy these culinary treats. Sushi, ramen, soba, sashimi, Kobe and Akita beef... all these dishes sound appetizing and will make your mouths water. But Japan also has certain specialities that require an acquired taste to be truly enjoyed. You have certainly heard of natto, the fermented soybean dish, that has a very distinct smell and taste and is simply not to everyone’s taste. Another, much lesser known dish that seem to make people squirm at first, is Horumon-Yaki. You might know that yaki means grilled.... so, grilled "hormones"?! Not quite! Horumon, according to some opinions, is Kansai dialect for "discarded goods", and means innards. There is also one popular explanation for the word horumon which states that it is indeed derived from the word "hormone", which apparently was a big buzz word in post-war Japan and stood for stamina and energy. And it is also supposed to supply you with lots of collagen, which makes it quite the hit with the ladies, as collagen is known to be good for your skin. Whichever version you want to believe in, horumon might not sound very appetizing at first, I admit it. 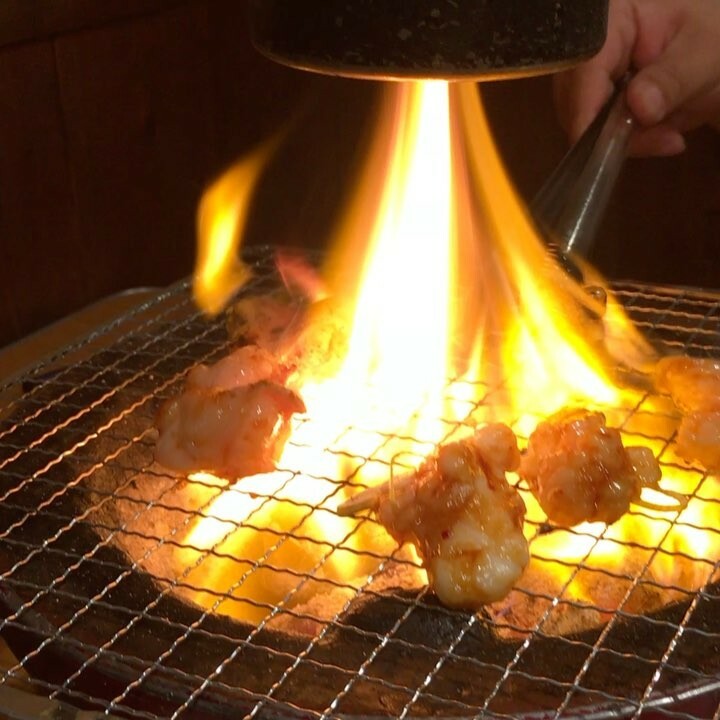 And I was quite skeptic when I was invited to join a little gathering at a horumon-yaki restaurant. So what exactly are innards? And how could this be turned into an actual, delicious dish? 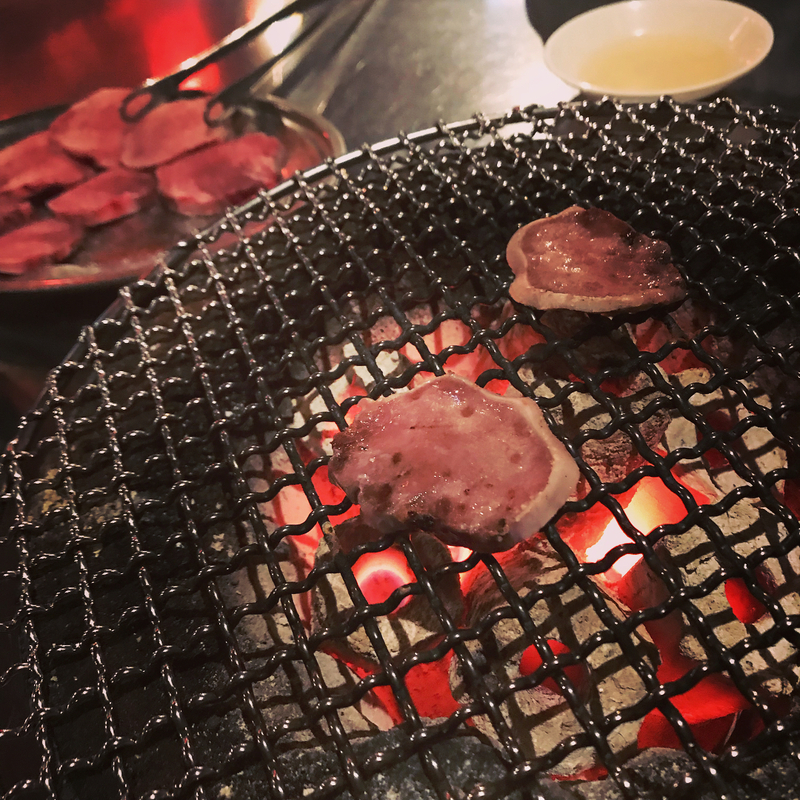 First of all, you will notice that a horumon-yaki is very similar to a yaki-nikku restaurant; each table has a charcoal grill in its middle, where you can grill your ordered goods. As you can imagine, things can get a bit smoky! 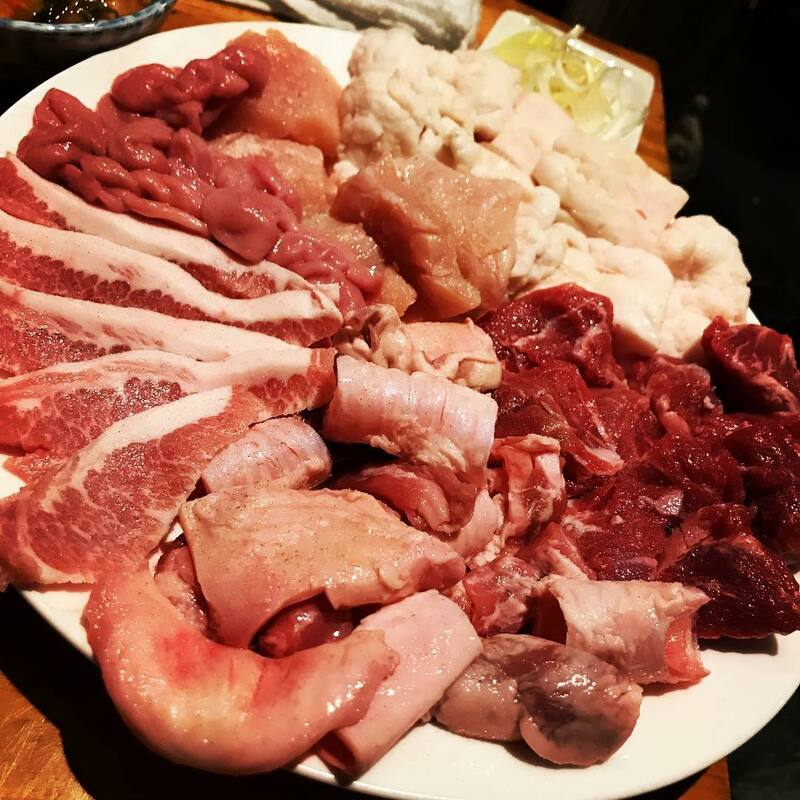 When ordering, you can choose from a variety of horumon with popular choices being small intestines (chewy consistency with a pretty regular meat taste), liver, cow's tongue and heart (very meaty texture but tender). Quite a lot of restaurants also offer regular meat (as in muscle meat) as well, in case you want some familiar texture during your visit. 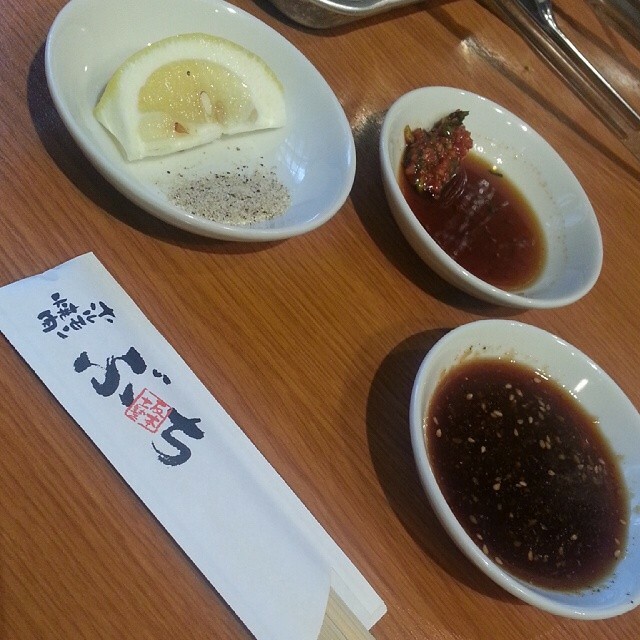 Once you grilled the meat of your choice, it is dipped into a sweet but spicy sauce, or sometimes you get a variety of dipping sauces. 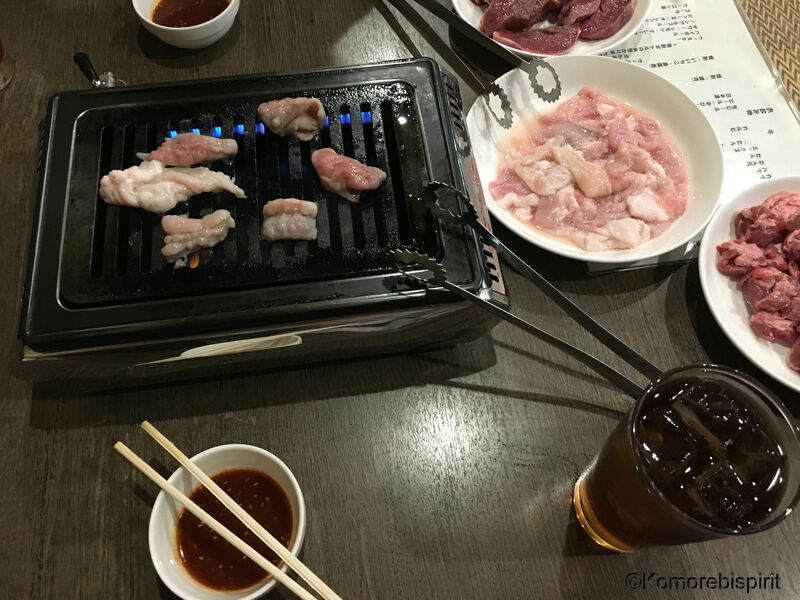 What took me by surprise is that the taste of the "innards" was not actually much different from regular meat, but the variety of textures was what made this experience special. 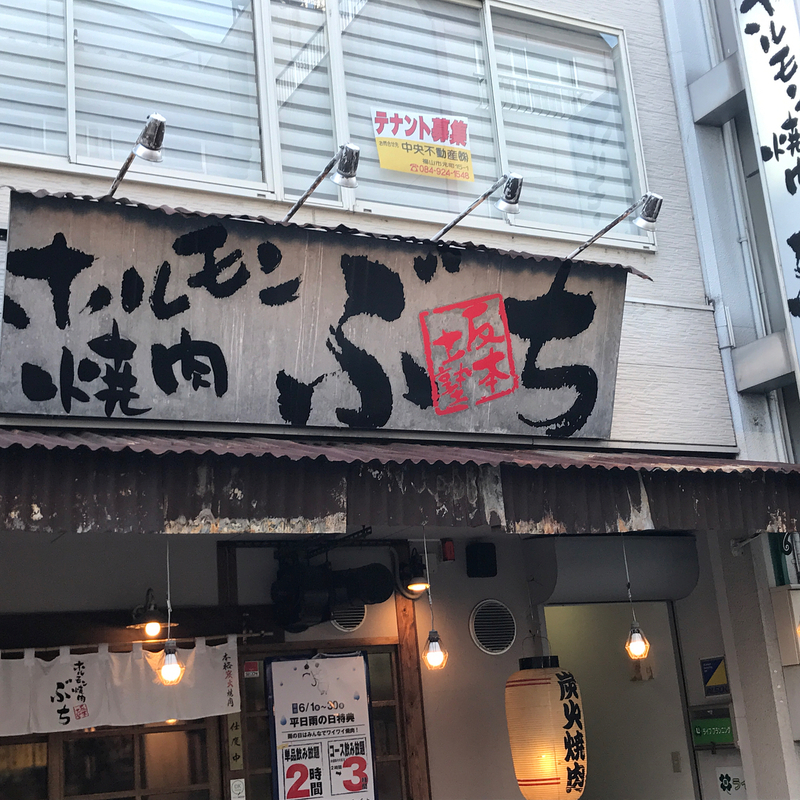 A restaurant that I can recommend is Horumon Yakiniku Buchi, a chain restaurant, established in Hiroshima, but with some shops around Tokyo, too. They offer a sample plate of 9 different types of innards for beginners to try, so you can try a variety and if you like anything in particular, you can order more of it. If you check out their website http://h-buchi.net/, you can also find a menu (Japanese only) with pictures which might make it easier for you to choose. Horumon might not sound like a great treat, but if you give it a try, I am sure you won't be disappointed! It is more of an experience of different types of texture, rather than taste and definitely worth a try! Winc Purikura- New Release of Japanese Photo Booth that you must try when you're in Japan ! Craving Deep Dish pizza? Devilcraft has you covered!